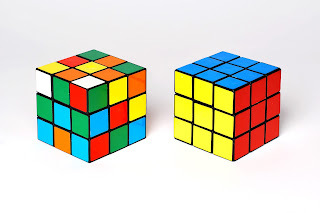 All of us will be familiar with the famous puzzle invented in 1974 by Erno Rubik. The cube has a core mechanism with intersecting axes allowing each of the six faces to rotate independently, thus giving shape to a six-colour puzzle. Given the worldwide success it rapidly achieved, the puzzle inevitably inspired the appearance in the marketplace in the course of the years of a multitude of other models made of various materials and in a range of shapes and colours. In these circumstances appropriate protection naturally had to be sought for the Rubik’s Cube and was obtained through intellectual property rights such as those afforded by EU trademark No. 162784. A conflict arose in connection with that trademark in 2006, when a famous German toy manufacturer filed an application for a declaration of invalidity on the ground, essentially, that the mark embodied a technical function consisting of the rotatable nature of the product and that third parties were thus prevented from selling similar puzzles which necessarily incorporated that mechanism and took a shape essential for the proper functioning thereof. Up to now the EUIPO and the General Court had maintained that the representation of the Rubik’s Cube with its grid structure had sufficient distinctive character to perform the function of a trademark and that the internal mechanism could not, in any event, be perceived therein. However, in a judgment published on 10 November 2016 (C-30/15 P) the Court of Justice has overturned those previous rulings. In that judgment, which is in line with the conclusions previously drawn by the Advocate General, the Court holds that the essential characteristics of a shape must be assessed in the light of the technical function of the actual goods at issue (a three-dimensional puzzle), also taking into account the elements which are not visible in the graphic representation of that shape and the rotatability of the individual elements of a three-dimensional puzzle of the Rubik’s Cube type. 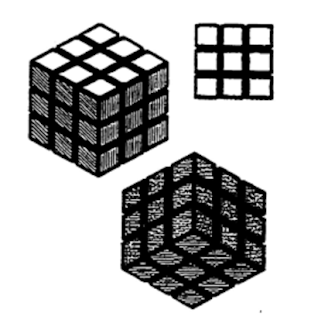 Thus, for want of arbitrary or decorative elements, the shape of the Rubik’s Cube does not qualify for registration as a trademark, as such a registration severely limits the freedom of other traders to market products characterized by the same or a similar technical result, i.e., that of a three-dimensional puzzle to be resolved through positioning moveable elements in a logical order. Now the EUIPO will have to deliver a fresh decision taking into account the findings of the Court of Justice.